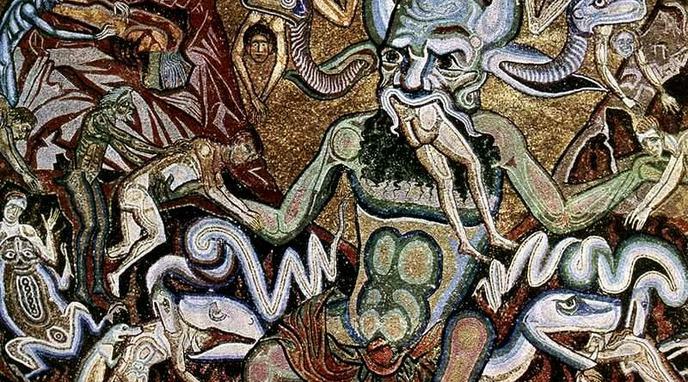 The concept of Hell (or a Hell-type afterlife) has shown to be prominent in cultures around the world throughout history. The idea of Hell is found commonly in different cultures possibly due to common global geologic observations. These include lava flows, volcanic activity, and other fearful geologic phenomenon. Bardo concept. Bardo has six states, some similar to hell other to limbo or heaven. Christians have views of Hell. Having a concept of Hell is to be expected from a species with an inherent sense of justice, however it does not prove that Hell exists. common roots that drift apart and change over time much like language and other cultural traits. The concept of Hell is socially constructed, which means that this concept is relative to other cultures. Therefore "hell" is not the same thing in other societies. most cultures believed in morality and a punishment / reward model. The concept that the Earth is flat has shown to be prominent around the world throughout history, but was decisively falsified. Majority voting is by far not a secure way to establish facts, in particular about the existence of a Hell.